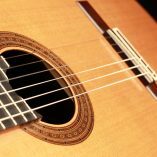 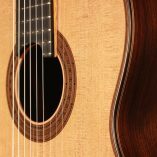 Lisa Weinzierl has been enriching the Siccas Guitars team from the beginning of 2017 until the end of 2018. 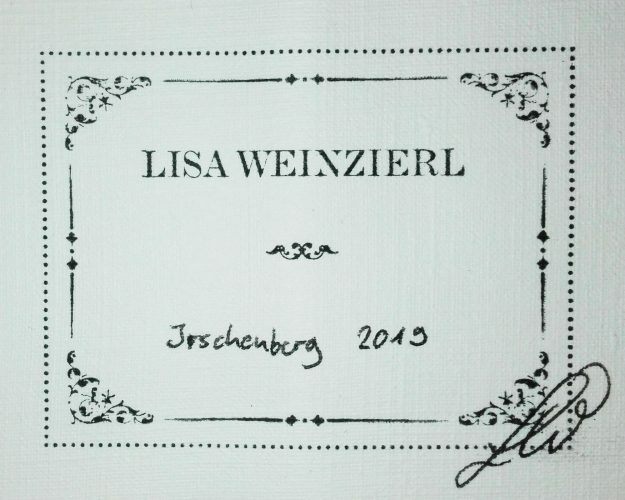 After completing her lutherie apprenticeship at the renowned Instrument-Building-School in Mittenwald/Germany where she completed as her year’s best student, Lisa initially moved to France. 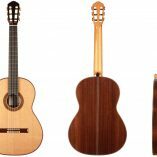 There she gained experience in the workshop of Christopher Schuetz in Villes-sur-Auzon and also learned the French language. 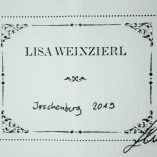 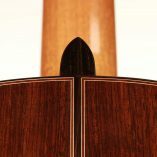 Later Lisa gained experience in the restoration of string instruments with Peter Ziegler in Unterhaching/Germany and in the workshop of Gert Esmyol in Munich where she deepened her knowledge and skills. 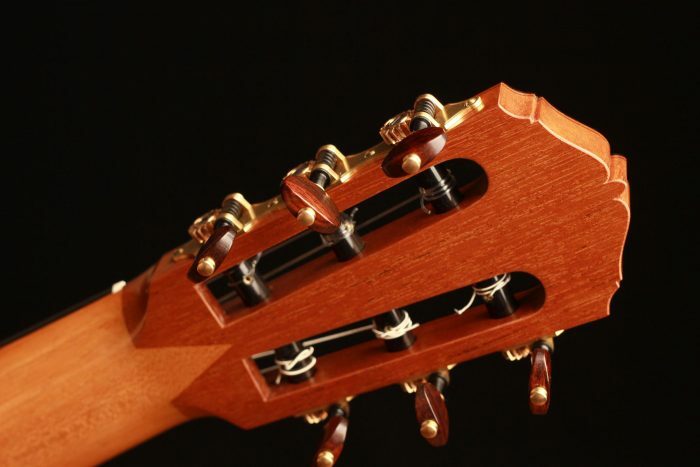 Of course, she let the accumulated experience flow into this wonderful guitar. 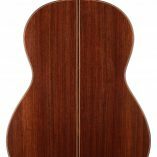 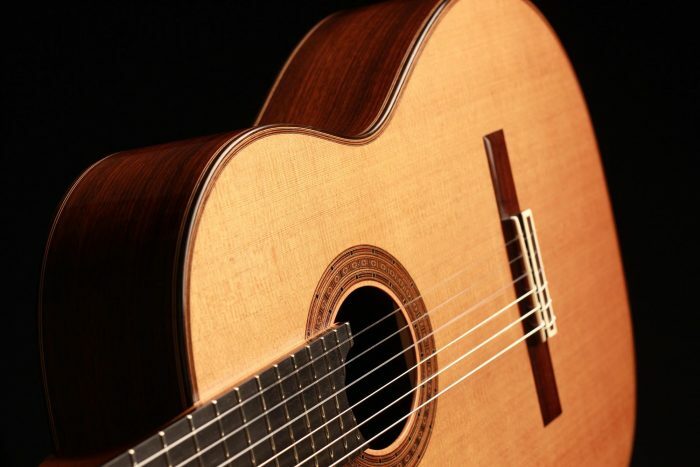 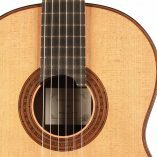 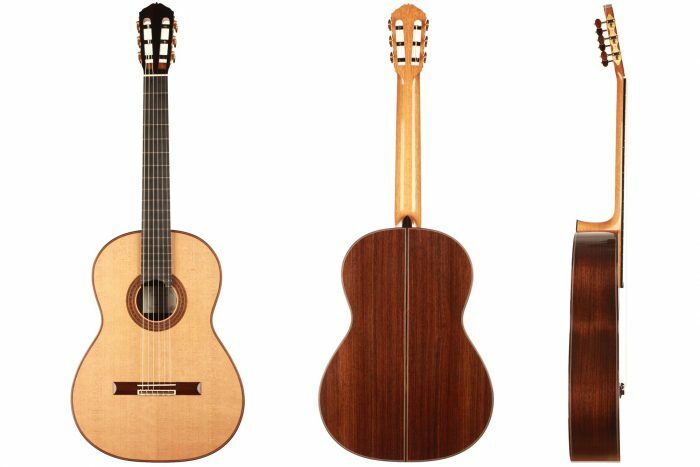 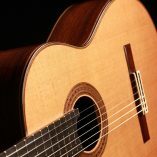 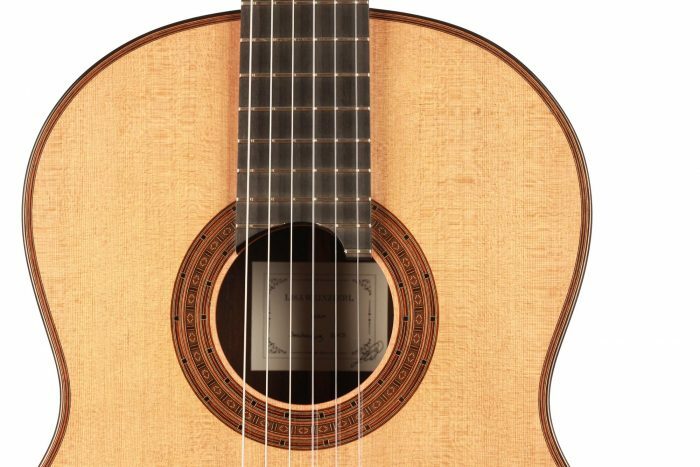 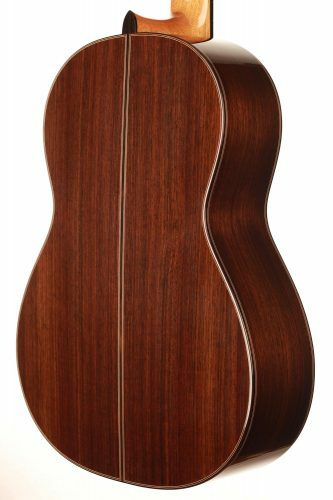 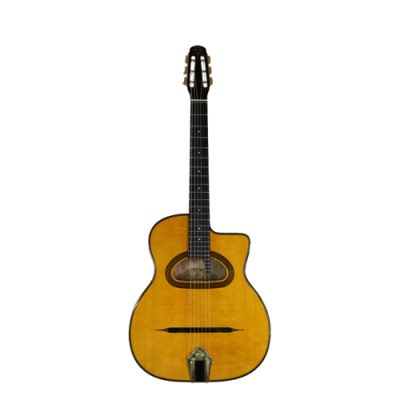 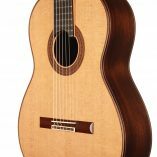 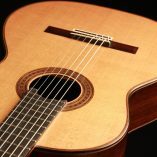 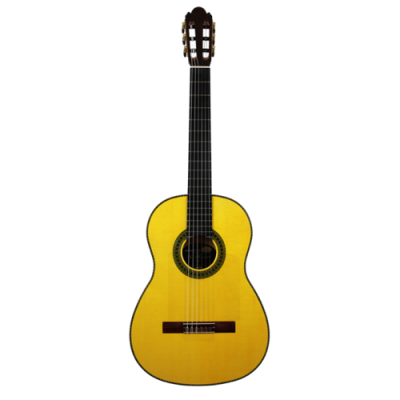 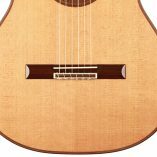 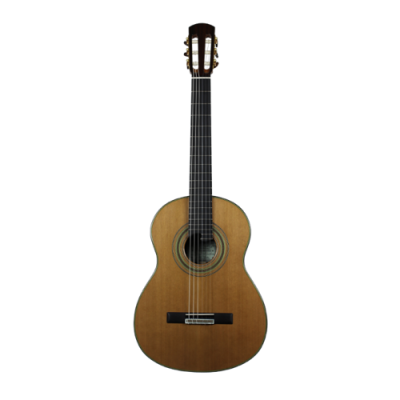 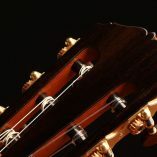 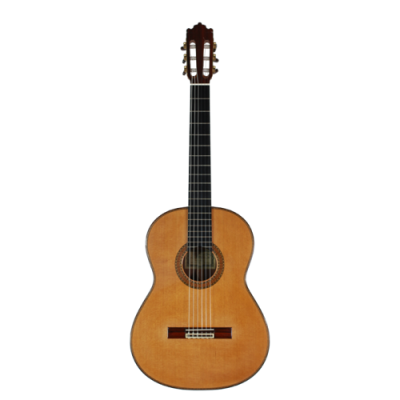 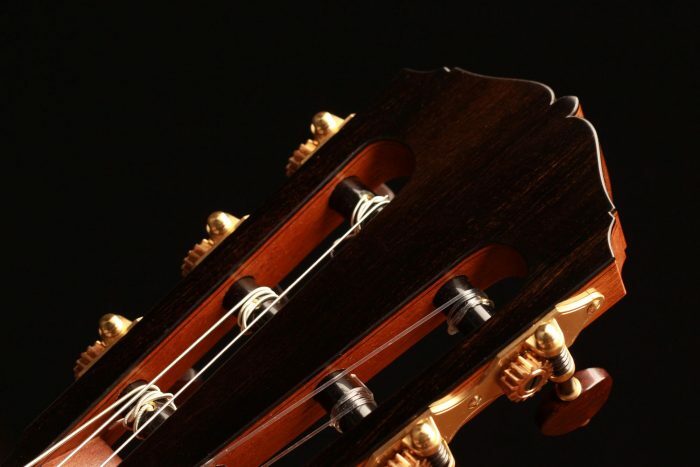 Her preference for the elegance of traditional guitars, such as the instruments of Hermann Hauser I & II, can be clearly recognized in this guitar. 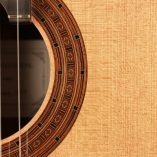 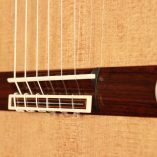 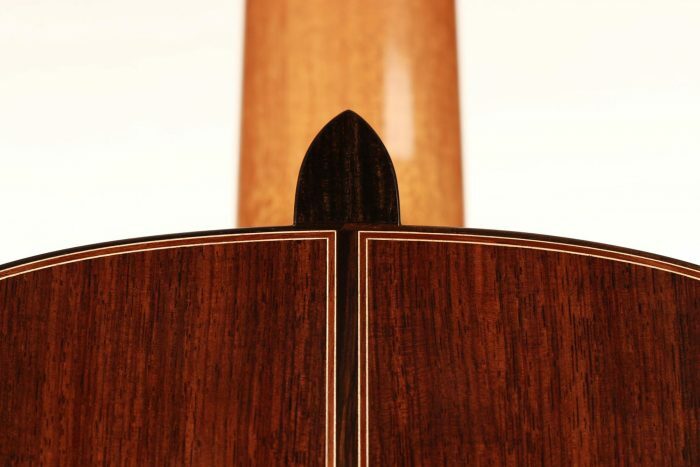 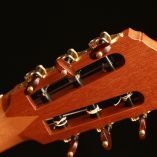 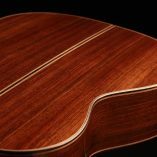 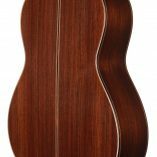 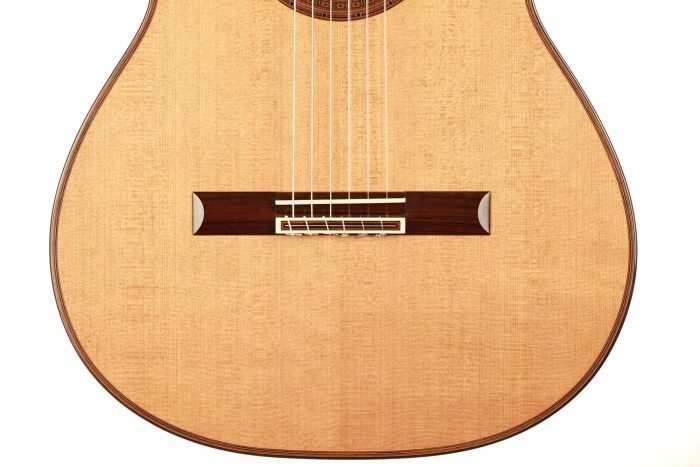 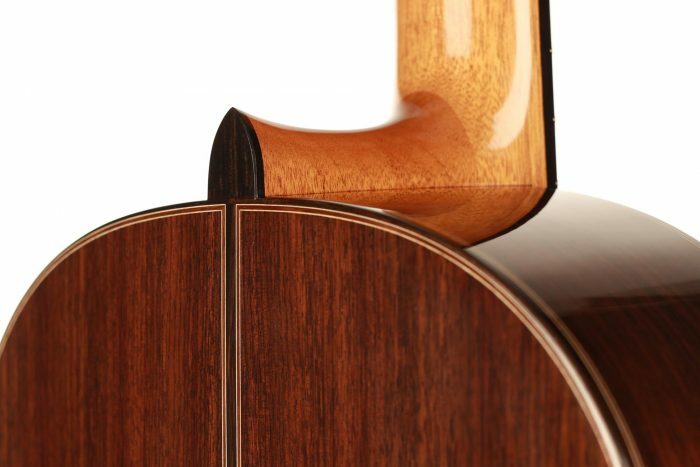 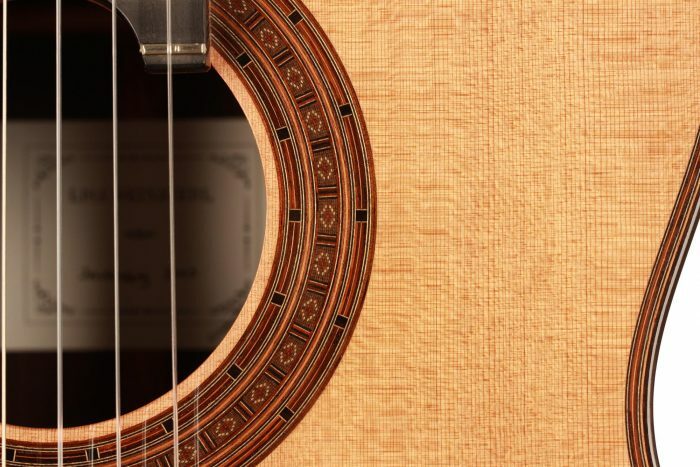 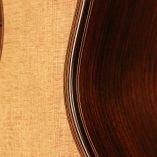 The German V-joint, the rosette specially made for this guitar and the French shellac polish express the special emphasis that Lisa puts on craftsmanship at the highest level. 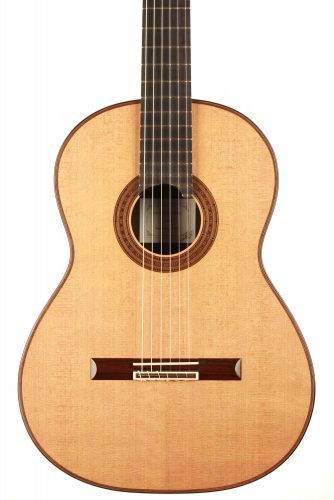 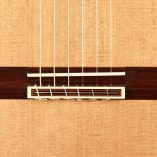 The playability and feel are fantastic, and the slightly raised fretboard makes playing in higher registers very comfortable. 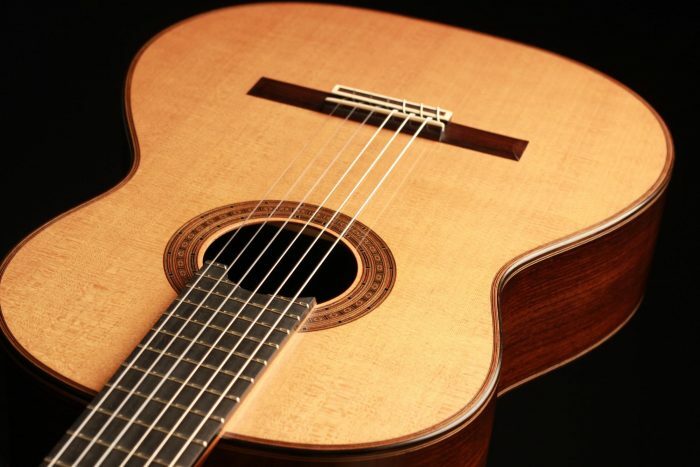 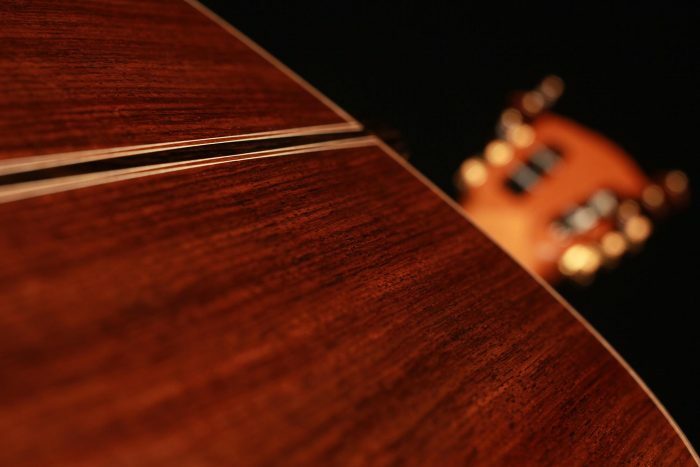 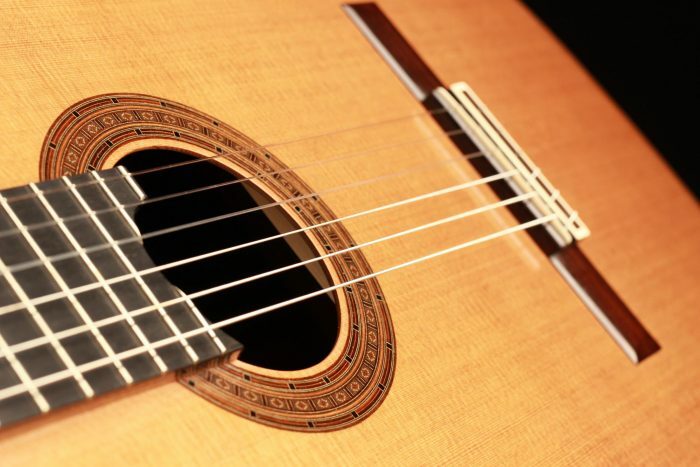 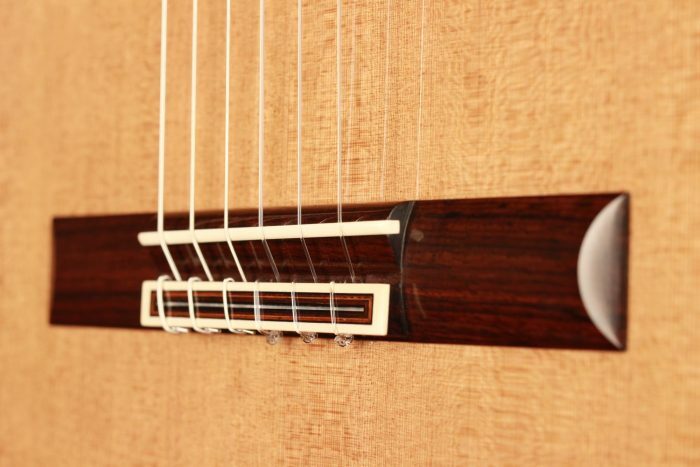 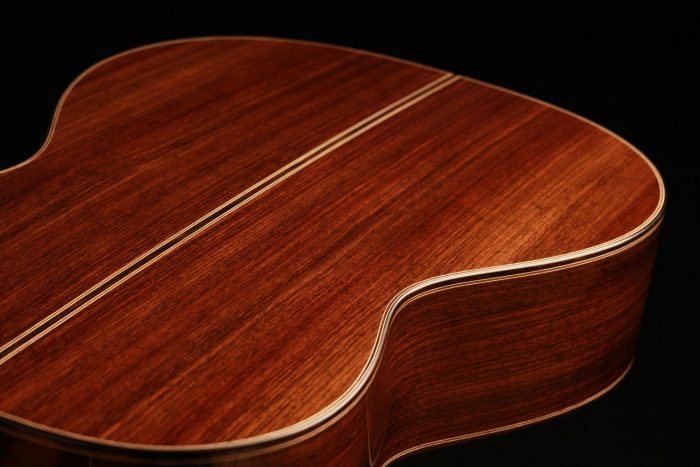 This superb cedar guitar is of an absolute delicacy. 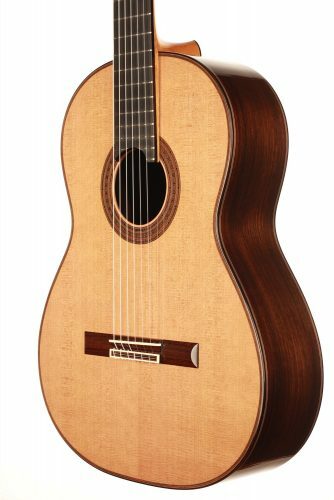 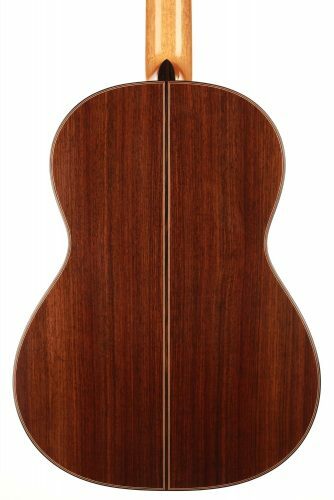 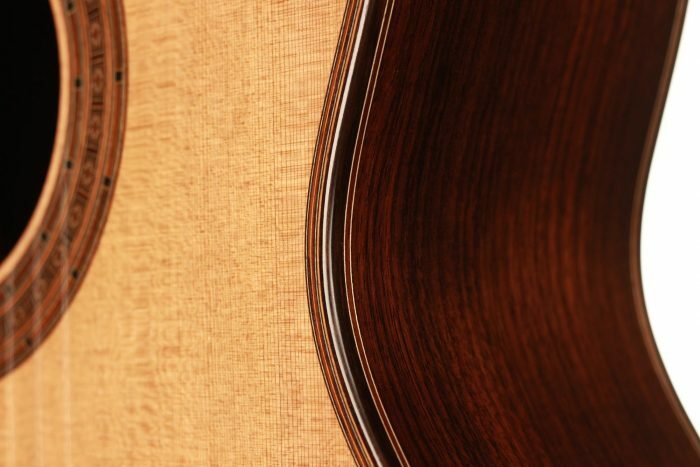 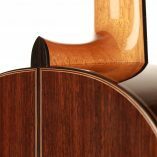 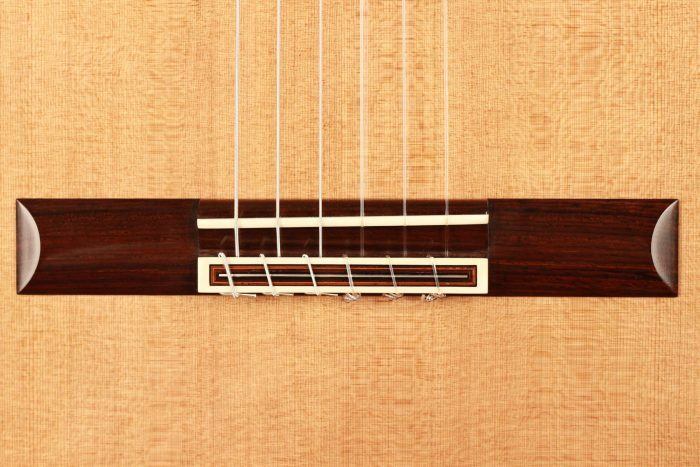 The neck is very precisely crafted and offers a rare playing comfort. 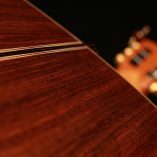 This guitar is very spontaneous and responds with sincerity and dynamism to the guitarist’s intentions. 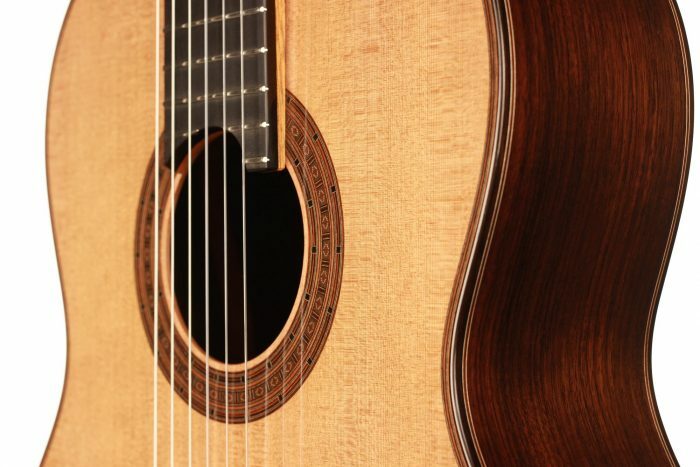 The sound volume of this guitar is more than sufficient and highlights all the richness of its timbre. 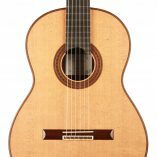 A great balance and a mature coherence between the different registers make this guitar an essential instrument in our showroom.